It may be the home of Le Big Mac, but this Mac Attack has nothing to do with burgers. 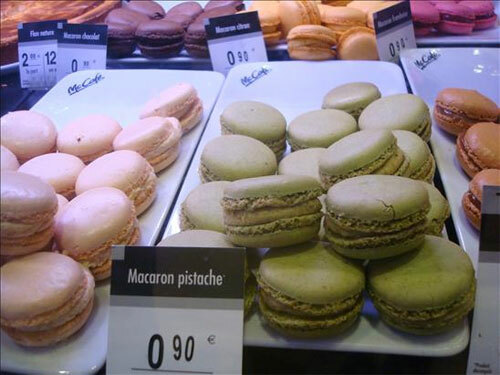 It's macarons, friends, and for better or worse, if you go to Paris, you can get them at McDonalds. Does this mean Laduree and Pierre Herme are in trouble? Is the MacDo Macaron a sort of death knell for the fancy French cookie, a surefire sign that they have jumped the shark? I can't say for sure as I didn't try them, but when I happened upon this case on my recent Paris trip I couldn't resist capturing the moment. Photo taken at the McDonalds at the Louvre; it was also featured as the Serious Eats Photo of the Day!